with ultimate respect for colour. I’ve tried many different shampoos, however thios is the best by far.. a small amount goes a long way, does not dry your hair out, and smells amazing. Will continue to purchase this brand. Best leave in treatment ever! Have tried many different products- this is by far the best. Have colour treated hair, and I wash my hair daily.. this is great for a multitude of sins, dry hair, heat protector, detangler, shine.. its sunshine in a bottle.. 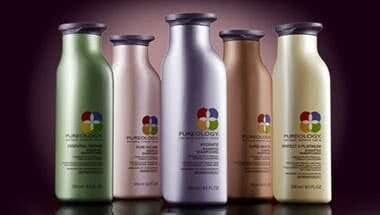 I use with shampoo, conditioner and treatment.. is my new favourite brand! Absolutely delivers the promise of hydration.. I wash my bob daily, and you need only a small amount of this conditioner to deliver fabulous results.. has a slight peppermint feeling on your scalp.. just love this brand.. fabulous value!